Now more than any other time, we as leaders need to be self-learners who are responsible for our work and accountable to the organizations, families or communities we serve. These times of change are also times of exceptional opportunity. People who are secure in their identity can see beyond obstacles and take full advantage of the extraordinary opportunities that present themselves. Before, opportunities seemed to be reserved for the lucky few. My life’s work has been and will continue to be focused on teaching the value and the process of understanding and embracing identity. For more than 15 years, S. Graham & Associates has provided the ultimate in success training through the Nine-Step Success Process developed by Stedman Graham. 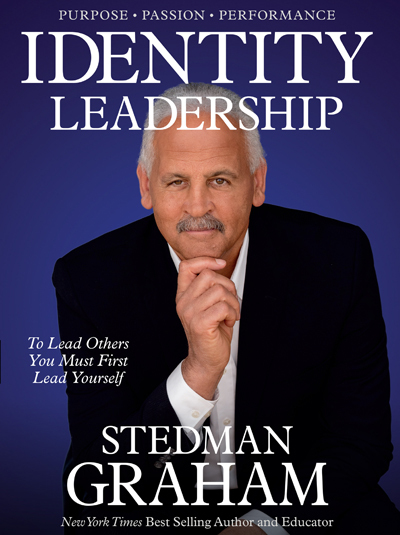 Now Graham introduces a process built on the nine steps to realize your leadership potential through identity development.